A Christmas season highlight in Bavaria is the Christmas market at the medieval castle of Hexenagger, Bavaria, Germany. Soft lights fill the windows of the medieval castle in the town of Hexenagger, Bavaria. Every year the annual Christmas Market is held in the castle grounds for people from all walks of life come to enjoy the ambience and the offerings of crafters. Night lights at the Christmas Markets at the Hexenagger Castle, Hexenagger, Bavaria, Germany, Europe. 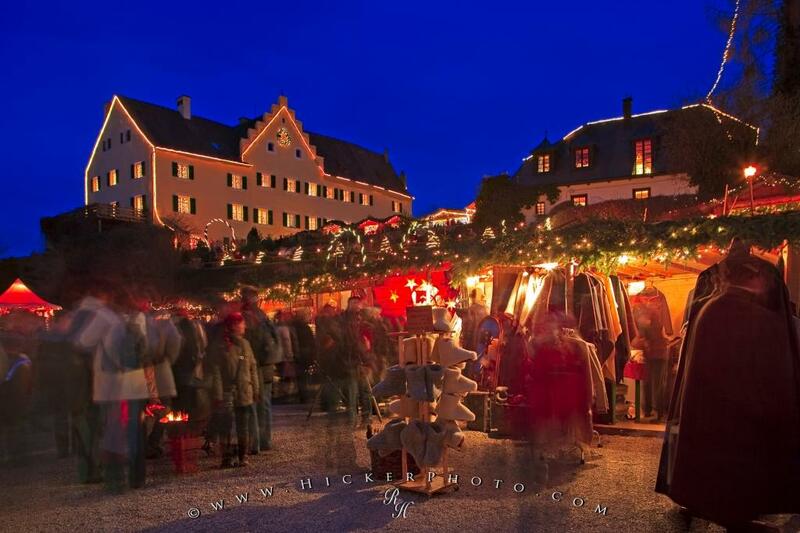 Photo of a christmas market at the medieval Hexenagger Castle, Bavaria, Germany. Pictures from photo gallery "Hexenagger Castle"
This picture is part of the photo album "Hexenagger Castle" - there are more beautiful images waiting for you.